The revised edition retains continuity with key features of earlier versions. It clarifies some ambiguities in the former text and modifies some of the rules for classifying pleural abnormalities. 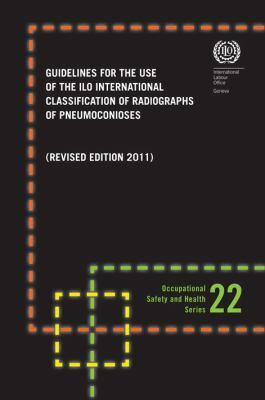 The booklet includes descriptions of each of the 22 standard radiographs in the Complete Set.Guidelines for the Use of the Ilo International Classification of Radiographs of Pneumoconioses Revised Edition 2000, was published 2002 under ISBN 9789221108320 and ISBN 9221108325.